2. Click 'Export' found in the upper right corner of the menu bar. 3. 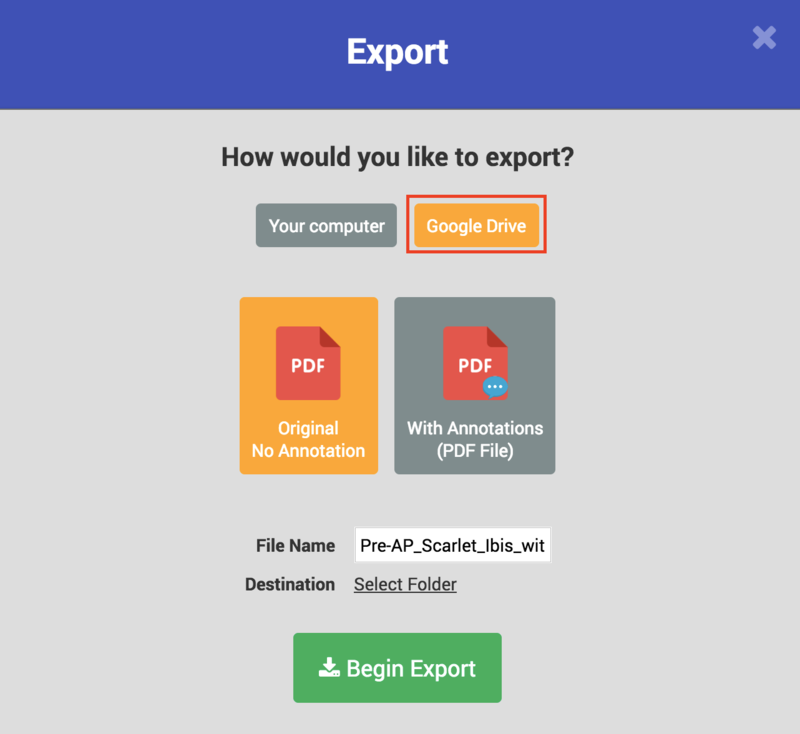 Select Google Drive and whether you want to export with or without annotations. Original No Annotation - Export the original version of the file without any changes. 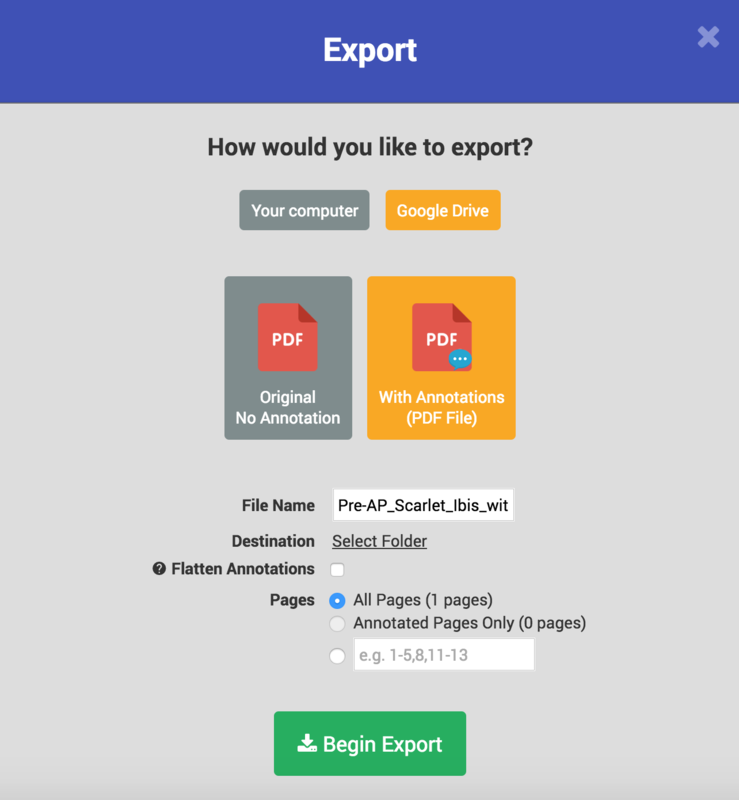 With Annotations (PDF File) - Export the file with all the annotations you created. Selecting 'With Annotations' will give you more options, including Export Destination, the option to flatten images, and the choice of how many pages you would like to export. The Flatten Annotations option will make your comments viewable in other PDF viewers by placing the comment next to the PDF. Note: All files exported from Kami are in PDF format.